Tyre manufacturer from Japan, a supplier of Formula 1, quality product in the high-price segment. Runflat system, rolling resistance optimized. 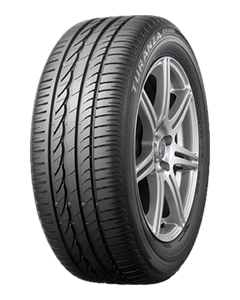 The run flat feature uses a reinforced side wall that, in the event of the tyre bursting, holds it in shape, preventing it from springing out of the rim. This means that in the case of a flat, it's possible to drive a further 150 miles at 50 mph. All run-flat tyres have the RSC symbol (Run Flat System Component) on the sidewall. Run-flat tyres don`t need any special rims, but only function with vehicles that are equipped with a functioning air pressure control system.